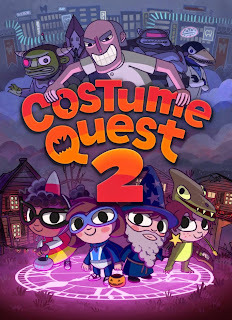 Costume Quest 2 is a role playing game by Double Fine that picks up right after the Costume Quest downloadable content, Grubbins on Ice, leaves off. 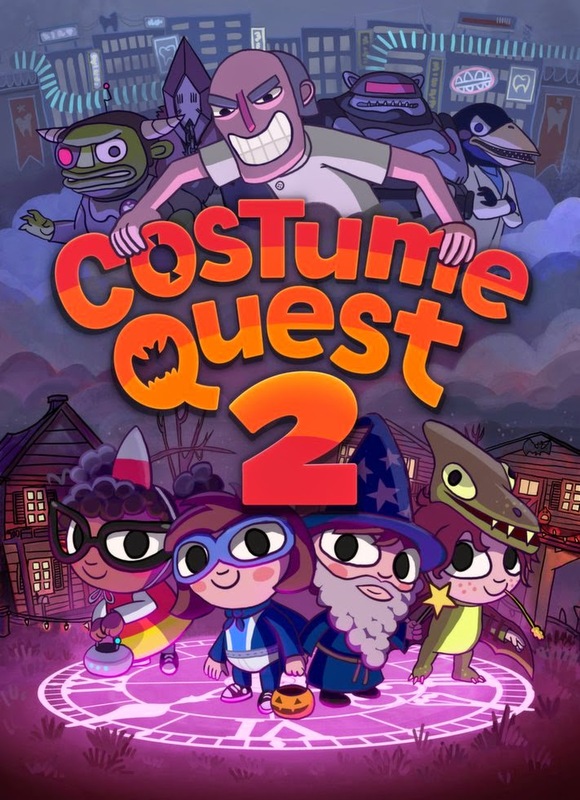 Once again children's costumes become the characters that they are pretending to be, allowing the kids to fight epic battles against monsters. This time they have to travel through time to prevent a dentist from destroying Halloween. It was released for PC, Mac, and Linux on October 7, 2014. It was then released on PSN for PlayStation 3 and PlayStation 4 on October 28, 2014, on Xbox 360 and Xbox One on October 29, 2014, and on the Nintendo eShop for Wii U on October 30, 2014.